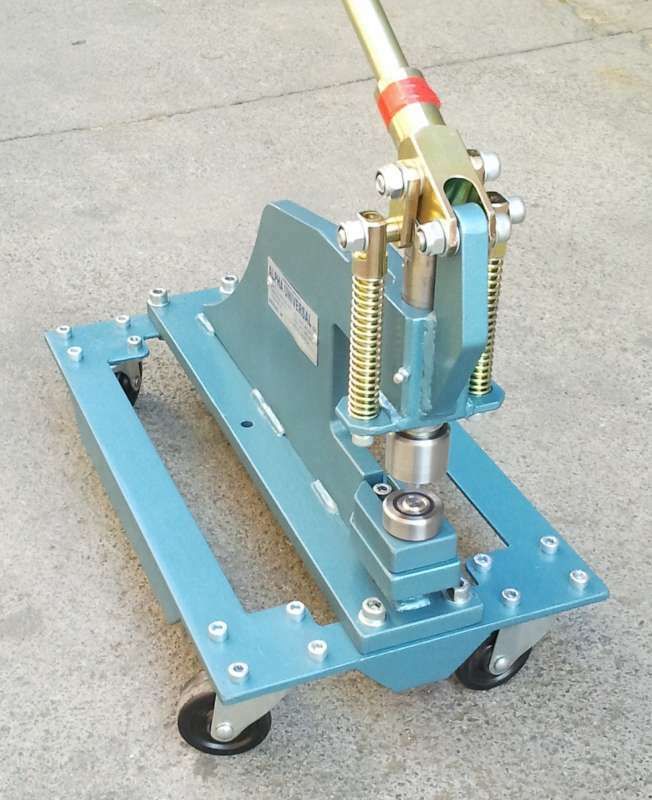 Heavy duty hand operated eyelet closing press on wheels that closes our eyelets fast and effortlessly. Manoeuvres around easily in order for you to move the press around your work. Different interchangable die sets available to close each size of eyelet.